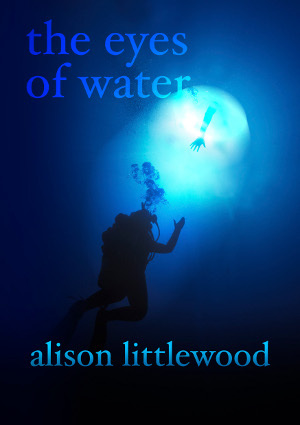 It is with great delight that we present to you the first review of bestselling author Alison Littlewood’s chapbook, The Eyes of Water. This one is by Walt Hicks and has been posted on his Hellbound Times book blog – the review can be accessed here. It is our great pleasure to announce that Mr. Peter Atkins, screenwriter of Hellraisers II, III & IV and the author of Morningstar, Big Thunder and Moontown, will be writing a chapbook for Spectral. No date has been set yet, so please look for further announcements as time goes on. For Spectral, this really is fantastic news. Those first four instalments in the franchise are among our favourites here at Spectral Towers and the literary output of Clive Barker, author of The Hellbound Heart upon which the first film was based, line our shelves in pride of place. Peter made an appearance as the Barbie Cenobite in the third film Hellbound: Hell on Earth, and it’s slightly crazy to think that decades later, the man is now going to write for our small-press. Small world, eh?